Totally Unique "One of a Kind" Design, 100% hand created! 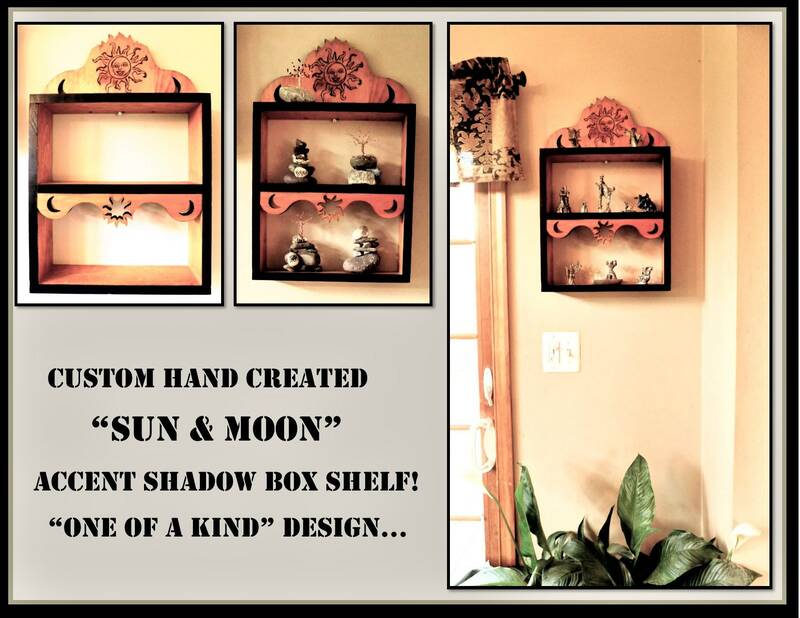 Just stained no color, or any other accent colors you may like to Accent you Decor! Also painted any color/colors no stain...... please note choice of Colors when ordering!!! 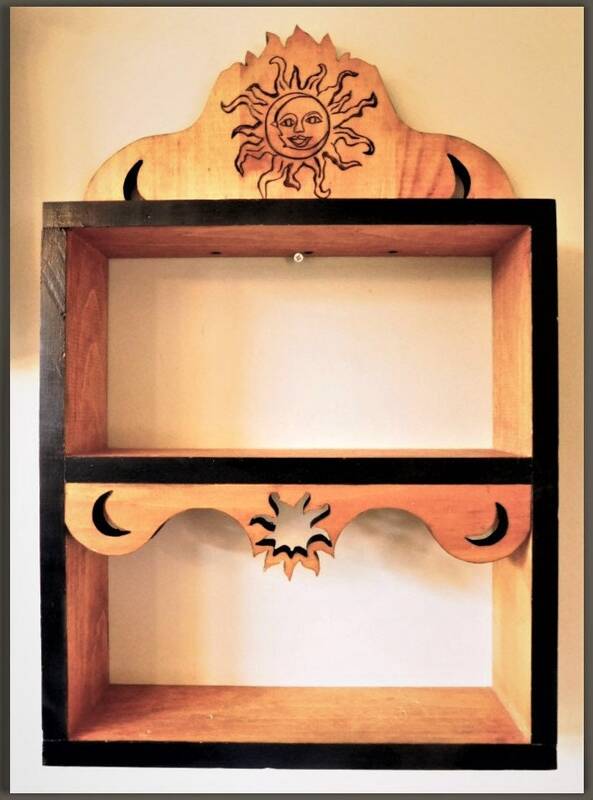 I hand cut the Sun an Moon designs and Wood burned the Top Sun Moon custom design!!! 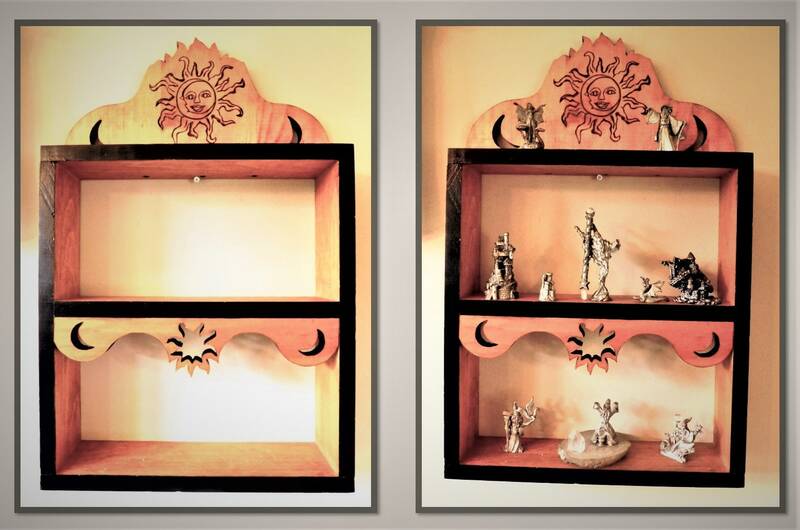 If you would like a shelf with any other Theme (Pet paws, Hearts, etc.) just note when ordering the design Idea you would like!